This course runs every other year. The Master of Studies (MSt) in Psychodynamic Practice is orientated towards increasing the understanding and application of counselling/psychotherapy research in practice. 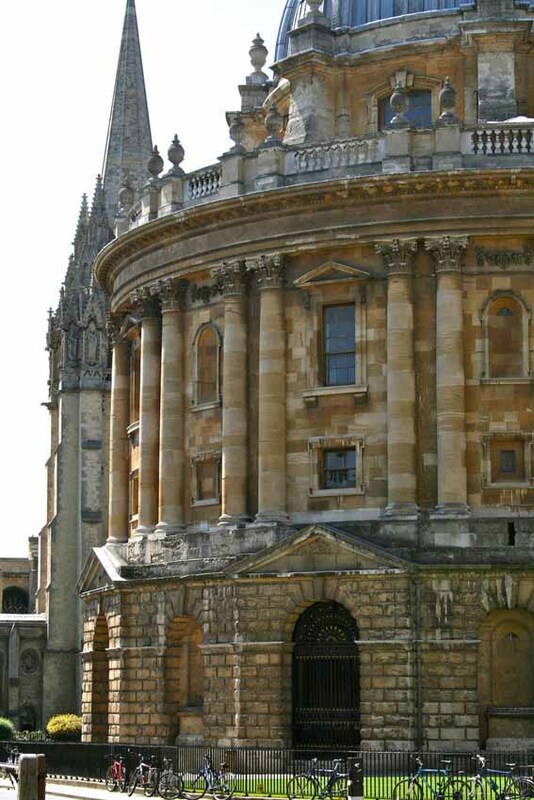 It is part of the Oxford University’s Master’s Programme in Psychodynamic Studies, which is accredited by the UPCA (Universities Psychotherapy and Counselling Association). The MSt course consolidates the clinical and academic work of the programme, and provides a training in advanced clinical work and research methodology, with the undertaking of supervised research. The course is designed to bring course members to an advanced level of professional competence. The course is part-time, held on Wednesday evenings from 6-9.30pm over two ten-week terms in Michaelmas and Hilary Terms, with tutorial support for the research work in Trinity term. There are two Saturday workshops per year. Course evenings are split between a clinical seminar and a research seminar. The number of places is variable according to the suitability of applicants and to create groups of viable size(s). There are six individual tutorials during the year. The hours of private study are those needed to bring both clinical understanding and the dissertation to the standard required by the MSt; both tutors will assist in monitoring this. However, at least 10 hours study per week between the taught periods is envisaged. Trainees are required to attend all scheduled sessions and must undertake personal therapy, clinical supervision and clinical placement between course nights. Trainees should seek to take personal holidays outside term time. The Masters Programme is accredited by the UPCA (Universities Psychotherapy and Counselling Association). Students who complete the full programme and the necessary clinical hours will be eligible for professional accreditation via the UPCA with UKCP (UK Council for Psychotherapy), as a psychotherapeutic counsellor. In addition, those that wish may apply individually to the BACP (British Association for Counselling and Psychotherapy). The aim of the clinical seminars is to further the clinical training; seeking to integrate personal and professional development via increased clinical experience and theoretical knowledge. The aim of the research seminars is to enable course members to develop an interest in, and understanding of, research, and to appreciate its value and implications for their therapeutic work. Course members’ research projects will be presented and discussed as they develop. The on-course research tutor and off-course research project supervisor will support and guide the course member with regard to the research project dissertation. There will be all day workshops on a Saturday in the Septembers at the start and end of the course. Clinical placements, which must be approved by the Programme Director, are a central aspect of trainees’ learning; a minimum of 100 hours of client work with supervision at a ratio of 1:6 must be completed during the course. The placement setting itself may form part or whole of the subject of the research project dissertation, or course members may elect to structure their research independent of their placements. Personal therapy is a cornerstone of the psychodynamic approach and trainees are required to complete a minimum of 40 hours with a course approved therapist during the course. Assessment is primarily by an individually-researched dissertation and viva voce examination. The dissertation, which must not be more than 15,000 words, must be submitted in September. The subject matter, be this qualitative or quantitative, must be approved by the research tutor in consultation with the Director of Counselling Courses, and where appropriate the external examiner. To be successfully awarded the Master of Studies, you will need to pass the dissertation and viva voce, meet attendance requirements, satisfactorily complete your placement, and receive satisfactory reports. Full regulations and examination conventions can be obtained from the Registry, OUDCE, Rewley House, 1 Wellington Square, Oxford OX1 2JA. Evolved a personal clinical style, at a high standard of clinical work and professional competence with the ability to recognise and reflect on ethical and professional standards in their clinical work. Understood how to integrate theoretical, evidence based, philosophical and technical aspects of psychodynamic counselling and psychotherapy with their psychodynamic clinical work at an advanced level. Developed a detailed knowledge and understanding of research methodology and understood how to apply counselling/psychotherapy research in practice. Applicants will have satisfactorily completed, or be in the second year of, the Postgraduate Diploma in Psychodynamic Practice and will continue their clinical placement and personal therapy. Please note that successful completion of the MSt will result in the Diploma award being subsumed by the MSt award. Please note that in their own interest no applicant currently in therapy/counselling with a course tutor will be admitted to the course. Information about fees and additional expenses will not be available until late 2018. For accreditation purposes student membership of UPCA is required throughout the programme, currently £21 per year. Students are responsible for the cost of their own personal therapy. All therapists treating students must be approved by the Director of Courses (who can offer the names of suitable therapists). Additional costs may be incurred for membership of relevant associations and for supervision at some clinical placements. The next intake for this course will be 2019. Please contact Penny Wheeler at psychodynamicstudies@conted.ox.ac.uk for more information about how to apply. Course members who take the MSt must apply also for membership of a college, this is included in the course application process. Most choose to become members of Kellogg College which caters particularly for part-time mature students and which is closely associated with the Department. The Programme Director is a Fellow of Kellogg College. This course is not suitable for non-EU students who do not already live in the UK before the course begins. For information, refer to www.gov.uk/government/organisations/uk-visas-and-immigration.